Clearly indicate the assembly points outside of the building. Your fire risk assessment will designate these points, and you should signpost the routes to them with the appropriate notices. 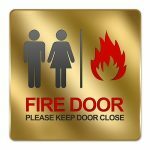 Ensure all signage is easy to see, and that staff are aware on joining the company where their specific fire assembly point is. The distance from the building to the assembly point should consider the ease of accessibility by disabled people. Disabled people should not be disadvantaged by being expected to assemble at points that are too far from the evacuated premises. For larger sites, a well-formulated procedure should be in place to handle hundreds of people, both employees and visitors, moving from various exits to a single assembly point. The route from the building to the assembly point, including issues of illumination, traffic route condition and sign-posting. Whether the assembly point requires illumination and shelter for those who may be vulnerable. Consider the condition of the people (sick or elderly) being evacuated. The proximity of other building outlets, including ventilation shafts that may allow the issue of smoke, heat or debris. Dangers once away from the building, including busy roads and pedestrian traffic passing the building. Employees and other persons leaving the premises must be advised which assembly areas they are to use. It is essential to have a well-thought out fire safety evacuation policy to ensure the safety of your employees and site visitors. A comprehensive fire risk assessment will look at your existing evacuation procedures. If you have an existing fire risk assessment, you should review it every 12 months and complete a new one every 3 years. For new sites, you should have a fire risk assessment completed within 3 weeks of opening. 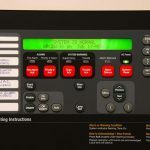 Call Fire Control Systems for advice on the location of fire assembly points.